I would hope the fingernail could be established if it belongs to Lindsey or not. The article below has been posted in this thread previously, but I'm reposting it to include some interesting posts in the "Comments" area. MCCLEARY, Wash. - Investigators identified a local jewelry store owner Thursday as a person of interest in the June 2009 disappearance of Lindsey Baum - but the store owner himself denies having anything to do with it. Tim Hartman, owner of Hartman's Jewelry and Repair in McCleary, admits he "unintentionally" gave false information to authorities about his whereabouts on the night Lindsey vanished. But he maintains his innocence, saying he knows nothing about what happened to the girl and actually helped in the search for her. These are cases only in Grays Harbor county....he has 3 more in Snohomish county, 4 in Yakima county. I don't know how much I'd pay attention to these -- these were all in District court, and given the fact that he owned a small business (jewelry store), it could very well have been related to that. "Respondent" tells me there may have also been a divorce in there. Hard to figure -- wish we could see more. Just glad they are now releasing more information. With the surveillance tape being released, I'm thinking they're getting close to busting this guy. Hope Lindsey's family gets some answers soon - they've been waiting far too long. District ct defense is usually misdemeanor traffic tickets. MONTESANO, Wash. -- The Grays Harbor County deputy stabbed and shot at the courthouse last month, is back at work. "I'm amazed at how well I'm doing, physically and emotionally," said Deputy Polly Davin. Davin is on light duty with the sheriff's office for likely the next month. She has a scar on her face and arm from the March 9 attack, but expects to make a full recovery. Deputy Davin is the lead investigator in the Lindsey Baum case, she's the ten-year-old who vanished in 2009. The deputy says quitting would have meant abandoning that and other unsolved cases. ONTESANO, Wash. -- The man accused of wounding a deputy and a judge during a violent courthouse outburst has been ordered to undergo a psychiatric evaluation. A judge issued the order on Wednesday at the Grays Harbor Courthouse where new security measures have been put into place since the incident. The injured judge, David Edwards, returned to work almost immediately while Grays Harbor County Deputy Polly Davin returned to her job last week. Davin was shot with her own gun after Kravetz allegedly grabbed it from her. Davin added she wanted to return to work because she is a lead detective on the disappearance of Lindsey Baum. "I'd like to see that tip come in that's going to put everything all together," she said. This needs to be further investigated. Thank goodness that T'Anna ran after the little girl! ELMA, Wash. -- An Elma couple who thought someone tried to abduct their young child took a high-tech approach to getting the word out about the scary incident. The little girl was found quickly and is doing fine, and police believe the entire ordeal was a misunderstanding. But that hasn't stopped the girl's parents from taking their story to Facebook to warn other parents about a man they believe is a predator. Three-year-old Taylor briefly disappeared from a local baseball park last Saturday. The girl's dad, Sean Sturgill, said he next saw Taylor with unknown man walking away from the park. "It was absolutely heartbreaking," Sturgill said. That's when T'Anna Channell jumped into action and ran after the child, saying she was her sister. "I saw the man and I asked him what he was doing. And he said, 'These are my daughters.' And I said 'No, that's my little sister,' and I took the little girl back and ran down the alley and gave her back to her dad," Channell said. She took Taylor to safe place and the unknown man walked away. Taylor's mom said she was terrified. "I thought somebody had tried to take her, and that's the worst feeling I've ever had in my whole life," said Melissa Sturgill. The Sturgill's say they started a Facebook alert about the mysterious man after local police downplayed the situation. Elma Police Chief Jeff Troumbley doesn't believe a crime was committed and said his investigation showed the man, who also had a 9-year-old girl with him, was actually trying to help Taylor find her way home. After seeing the Facebook alert about him, the man actually came forward on Tuesday to speak with police. This letter is in regards to Jacob Jones’ article about the attempted child abduction. First, why had the Elma Police Chief tried to sweep this under the rug? Whether this was a misunderstanding or an abduction attempt, a thorough investigation should follow. His actions are completely deplorable! His statements are absolutely ridiculous in nature. Did he follow any leads? Investigate to the fullest extent? Or just brush this off like it was nothing? He is employed to protect and serve the community. YouTube: "Human Trafficking Conference 2011 - Lindsey Baum"
Case: Lindsey Baum, Jamie Grissim, Kyron Horman and other missing children hold vigil during NWCAT 2011 to help bring awareness to their missing children. A WASHINGTON songwriter is continuing his quest to help families of missing children around the world. Nigel Graham devotes his spare time to composing songs to help promote the search for missing people. Now he has created a smartphone app which brings together all of his music and videos. The technology – which can be downloaded to Android phones – is called Find Me Music and includes songs Nigel has written for missing British youngsters Madeleine McCann, Ben Needham, who disappeared from the Greek island of Kos and runaway Andrew Gosden from Doncaster, as well as Canadian Jessie Foster, who was 21 when she disappeared from Las Vegas, missing 10-year-old Lindsey Baum, from Washington in the US and Brenda Gomez, a Mexican girl allegedly snatched seven years ago. The self-taught musician now receives appeals for help from around the world and has appeared on radio and TV stations internationally. One month from Saturday will mark the 3rd anniversary of Lindsey Baum’s disappearance, June 14th it will mark the 38th year since Jeffrey Bratcher was last seen in Ocean City, and this is the 30th year since Tyler Inman went missing in Aberdeen. May 25 is nationally recognized as National Missing Children’s Day. This was the day 6-year-old Etan Patz disappeared from a New York City street corner on his way to school in 1979. In recognition of National Missing Children’s Day the Washington State Patrol’s Missing and Unidentified Persons Unit has partnered with the Tumwater Wal-Mart to provide child safety information as well as fingerprinting for Child Identification Kits today from 12-4pm. It’s been 3 years since the day Lindsey Baum went missing while walking home from a friend’s house in McCleary. Lindsey’s disappearance caught the attention of families across the nation and worldwide and continues to be on the minds of those in Grays Harbor. Lindsey’s 14th birthday is July 7th. A team of investigators continue to work daily on finding Lindsey. That task force contains investigators with the Grays Harbor County Sheriff’s office, FBI, State Patrol Missing Persons Unit and the Department of Corrections. McCLEARY, Wash. -- When Lindsey Baum vanished three years ago this week, two families were changed forever -- Baum's and the family of detectives who have been looking for her ever since. "This is a case that continues to haunt all of us," said Grays Harbor County Undersheriff Rick Scott. Baum was just a few days shy of her 11th birthday when she was last seen walking home from a friend's house in McCleary, June 26, 2009. Grays Harbor County investigators call the investigation the most "massive in recent history." Following a series of layoffs in January, the sheriff's office was no longer able to keep a detective on the case full-time but, according to Scott, "This is a long ways from being a cold case." Scott said the case is still discussed daily as tips continue to come into the office. A detective spent Tuesday following up a potential lead. Scott said police want the case solved to give Baum's family, and the entire community, closure. "This became personal a long time ago," said Scott. It's been three years since Lindsey Baum disappeared while walking home from a friend's house in McCleary and according to police, there are still people out there who saw her before she disappeared. "We have video evidence of their existence, that we know were in McCleary, right around the time that Lindsay disappeared," said Grays Harbor County Undersheriff Rick Scott. "We'd still love to talk to them - people that were coming or going from their car." McCLEARY – Tuesday marked the three-year anniversary of Lindsey Baum’s disappearance while walking home from a friend’s house in McCleary. 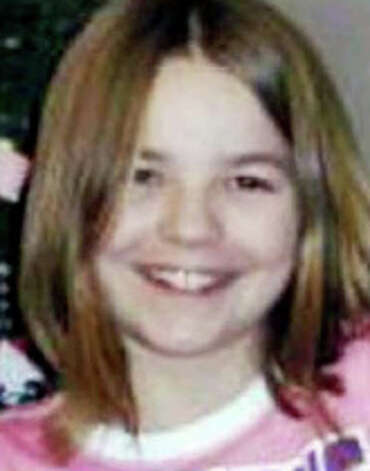 Repeated searches of the town in east Grays Harbor County and surrounding area have found no sign of the girl who was 10 when she last was seen June 26, 2009. Her 14th birthday is July 7. The disappearance has caught national attention and remains under investigation by the Grays Harbor sheriff’s office, Washington State Patrol and FBI. Hairs, ropes, straps and “an apparent fingernail” were seized in October from a Subaru and home belonging to a person of interest in the disappearance. The items were forensically analyzed at a crime laboratory, Grays Harbor County Undersheriff Rick Scott said in February. They raised “no red flags,” he said. Thanks for the update grace-land. I was wondering about the results on the testing of the hair, fingernail and items taken from the home and car. What happened to sweet Lindsey? Where is she? I hope there will be answers soon. It's been so long. The LE and detectives have not forgotten, Lindsey. County undersheriff Rick Scott said recently, "This became personal a long time ago." They need atleast one credible clue to connect the dots to solve this case and bring Lindsey home! I'm hoping the day will come soon when LE is able to solve the case and bring Lindsey home. Page created in 10.158 seconds with 20 queries.